What are the Durability and Susceptibility Metrics? We introduce new ways to interpret injuries. 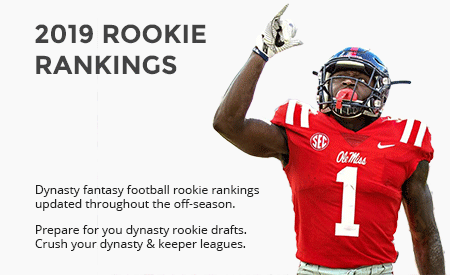 How can you leverage them to improve your dynasty decisions? How can we interpret Le'Veon Bell's injury history? If you have followed my recent work, it is no surprise that I have been attempting to explain player injury profiles. I’ll be honest – injuries are mostly random events that are very difficult to predict in a statistical model with accuracy or reliability. While the recent remodel of sports injury predictor is a large step in the right direction, I place my faith in the building of metrics that seek to describe the player’s prior injury history. My heart behind this project was simple: I want to wade into a topic that is ignored and misunderstood. While fantasy football has had several medical doctors provide insights on individual injuries, none have been able to apply combine both the medical and statistical perspective. Due to this void, I was recently commissioned to by sports injury predictor (SIP) in attempt to apply clinical relevance to a machine learning procedure. As an epidemiologist, one of the primary objectives was to use the duality of my professional training to build metrics that aids in the accuracy of SIP’s predictive models. This led me to the development of the following metrics: Durability Score and Susceptibility Score. I am an epidemiologist focused in creating novel study designs. This line of work has led me to build numerous studies to aid in predicting hospital admissions, development of cancer diagnostics, and build models around infectious disease transmissions. I am an ex-linebacker and an avid Colts fan currently living in New Orleans. Lastly, I have the best fiance in the world and would be lost without her and my Huskey, Ghost. Hi Jeremy…nice article. When can we expect to read actionable intel about in around the league? I was under the impression from your twitter feed that this article would provide that, rather than serve as a teaser to future data. That was the original thought however it was decided to roll out the metrics afterwards. I’ll be releasing them by position in the coming weeks and describing profiles that I am optimistic and pessimistic about. Thanks! This info is probably most actionable before training camp starts…unfortunate it won’t be available by then. Still, keep up the good work.